In other words, a civilization in which there is no respect for the cows and brahmanas is condemned. 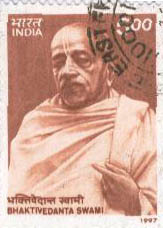 One cannot become spiritually advanced without acquiring the brahminical qualifications and giving protection to cows. At the present moment, all over the world, governments have no respect for brahmanas, cows and Govinda, and consequently there are chaotic conditions all over the world. The Supreme Personality of Godhead is go-brahmana-hitaya ca: He is always very kind to cows and brahmanas. Therefore one who worships Govinda must satisfy Him by worshiping the brahmanas and cows.